Vacuum cleaners are a convenience of the modern world in general. If you just moved to a new flat or want to replace the one you currently own, Target Ad is a good place to find a nice price. iRobot Roomba can be useful if you have a place with no rugs or many obstacles on your floor. It navigates itself to the dirt or whatever it is meant to collect. Dyson V7 Animal cord-free vacuum is gonna cost only $299.99 online or in store. Philips, Polaroid, Hisense LED TVs are available on pg 8. Get a free $125 gift card for your purchase of Philips Smart HDR UHD TV. Find consoles and console games like Days Gone. The game will be available on Friday. iPhone Xr, Xs, and Xs Max are three Apple products you can encounter on pg 9. Browse the Apple Watch Series 4, iPad Air, and more on the same part of the ad. Firstly, I recommend you to see the products of the DIY category. Essentials for spray paint, gloves, LED light bulbs, and more are in that part of the latest Meijer Ad. You have still almost one week to save on these items. Most of them are BOGO deals. For example, Rust-Oleum spray paint is gonna be Buy 2 Get 1 Free. Buy 2 of tape of adhesive products to get second for free! On the same page, we are able to see pet supplies. Crave and Nutro Dog Food will be 10% cheaper. Buy SmartyKat cat toys with a BOGO 50% off deal. Also, notice the 10 for $10 sales in the pet supplies range of Meijer. Go to pg 13 for health & beauty care. Renew your stocks of shampoo and hair colors at fair prices. Meijer has its brand. Personal care products like Meijer Sun care products will be BOGO deals. Almost all of Meijer's own products are BOGO deals. Household essentials are in stocks and visuals of the ad. Browse paper serving ware, storage bags, paper towels, etc. You can follow our Facebook page or subscribe to get more deals. Many more products are available in the content of the Ad. 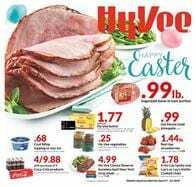 Digital coupon offers are great savings and Kroger Weekly Ad Apr 24 - 30 Preview shows some of them. Buy Fresh Simple Truth organic boneless chicken breasts for only $6.99/lb. You have Simply fruit drink or Ade, MorningStar farms meatless entrée, Chobani Greek yogurt, Simple Truth natural shrimp in the digital coupon range. And more products are also in the Kroger Ad. Preview of the next weekly ads can be available in the form of scan like this. Shop with the Kroger Weekly Ad to save more on grocery products. 4 days of digital deals are gonna be another deal. Buy Kroger cheese with a digital coupon to pay only $.99! Spend $25 on coffee to save $10. The coupons are redeemable up to 5 times. This Ad can also offer household supplies. Pay only $11 for 2 of Cottonelle bathroom tissue. Fage Greek yogurt, Kroger deluxe ice cream, Tostitos Tortilla chips are on sale. The mix and match sale and 3x fuel points are both classic discount types of Kroger supermarket. Earn 3x fuel points with purchasing Kroger baking potatoes, Big K, LaCroix, Frito-Lay multipack snacks, and more items of the grocery sale. If you want to drop the expense of the weekly cost of your house, become a savvy shopper and beware of the latest savings or even the next week's savings using the Albertsons Weekly Ad. 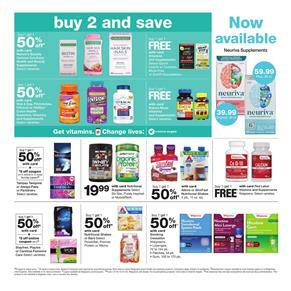 Today, you are able to browse the Albertsons Ad Preview Apr 24 - 30. A clever system is on the ad's first page. A price is given and your choice will cost only that price. For example, 4 meat products on the cover page will cost the same amount. Pay only $3.99 for lb. of beef petite sirloin steak, beef top sirloin steak, beef top round London broil, beef tri-tip roast which is all USDA choice products. Some fresh fruits are also in the same class of deal by Albertsons Weekly Ad Preview. Also, buy organic foods or packaged-food items. Cage-free eggs, milk, almond milk, open nature granola, and O Organics frozen fruit. Monopoly Bonus Ticket Items are snacks like Lay's chips. In fact, they are cheaper when you buy multiple amounts. For example, Doritos chips, Pepsi soft drinks, and more snacks or beverage items are in this sale. Buy 3 of Doritos tortilla chips, Cheetos, Fritos corn chips, Lay's baked or simply natural chips and pay only $1.99 each. Mix or match sale consisting of great snacks, beverage, breakfast foods, household supplies, and more. 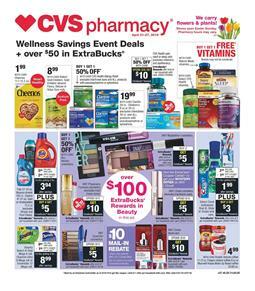 Buy 5 or more to save $.99, $1.69, $2.49 or even more on these items. Check out pg 4 to explore these products. Packaged-meat products, fresh seafood, and more are on pg 6. Useful products of kitchen and elegant looks of serving ware are two major elements of the Walmart Ad home sale. Porcelain is a very nice material to have in your inventory of kitchen or serving products. Buy Better Homes & Gardens cake stand is a new product and its price is only $19.76 at Walmart. If you like cooking or frying foods, check out The Pioneer Woman 10-Pc. cookware set that is only $99. Keurig K-Compact brewer is only at Walmart. Pay $59 to get a decent-performance coffee brewer. You can also find household supplies on this ad. 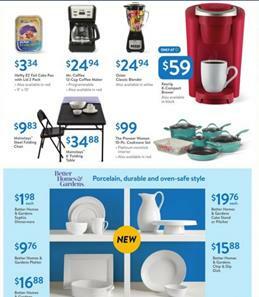 Previous Walmart Ad was also showing these prices. Not everyone has a backyard but for those who have, Walmart offers a patio sale. You can find cool dining set for only $257! Black frames, beige cushions, glass surface of the table, and also find a market umbrella in the same category of the Ad. Mainstays Outdoor Adirondack chair is a nice product to have in your backyard. Pay only $87 for that chair.